A senior from Kurdish intelligence agency asks EU and US for more support for Peshmerga in their fight against ISIS and for active political involvement of the international coalition for stabilisation of Iraq. Brussels, 24 May 2016 - Middle East Diplomatic (MED) - A senior from Kurdish Intelligence Agency in Kurdistan Region (KRG) asked EU, US and NATO for more support for Kurdish Peshmerga in their fight against ISIS, but also for active political involvement of the international coalition for stabilisation of Iraq. Following his visit to NATO and meetings with European officials, the senior from Kurdish intelligence agency held a briefing in the European Parliament in Brussels accompanied. “Supporting Kurdish security forces / Peshmerga fighters with weapons, ammunitions, training and financial help to pay their salaries is crucial in the fight more effective against ISIS”. “EU could help to keep 1.8 million displaced people within Kurdistan Region by providing them with shelter, help and education, so they don’t need to become refugees in Europe”. 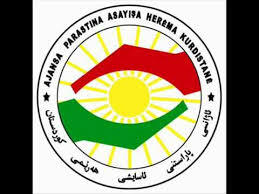 According the officer from Kurdish intelligence community, “The main mistake of the international coalition is to focus only on the military struggle, kill the ISIS leadership, but don’t engage on the ideology issue. There is currently a strong international campaign to take territories from ISIS in Iraq and Syria, but there is no any campaign of the coalition forces to engage politically with Bagdad”. The Kurdish Intelligence official analysed the reasons for the existence of ISIS: “If we look at the reasons why ISIS was created, we will notice that 3 years ago people in Anbar demonstrated against poverty and bad living conditions, but the government in Bagdad did not listen to them. The political vacuum in Bagdad, the disengagement with people creates a ground for extremism. Even if we have military success on the ground, if we don’t engage politically, later we will have another ISIS, maybe even more brutal”. “Taking Mosul or Raqqa can put an end to ISIS as an organisation, but what will happen after? The infrastructure is destroyed, Iraq is in economic crisis, and there are 1.5 million displaced people. If we don’t provide education, health care and employment for them, there will be a ground for another extremism to grow”. The Middle East mentality in Iraq is not able to fix its own problems. Therefore, the international community should be actively involved to help: “We learnt our lessons from past mistakes when we said that the coalition forces can leave in 2011. This was wrong. Today, Shia Muslims, the majority of Sunnis and 99 % of the Kurds understand that this was a mistake and they want engagement of the western countries. The international engagement in Iraq is also in the interest of Europe and USA, then they will have less problems to deal with post-ISIS”, concluded the Kurdish officer. Regarding the exchange of intelligence information between Kurdistan Region and EU / USA, the Kurdish guest speaker said that Kurdistan Region has 930 km border with ISIS and more than 3000 detainees and therefore can represents an important source of information for European and American intelligence services. They should engage with Kurds on the ground to be able to identify threats earlier on. Commenting on the fight of YPG in Rojava, the Kurdish senior said that it has a positive effect on Kurdistan Region as well, because it weakens ISIS positions: “The international coalition supports YPG. I always try to convince my Turkish colleagues that they should support YPG, because their fight against ISIS is in the long term interests of Turkey”. Copyright 2008, ANP. All rights reserved.